This is the 1st CD release commemorating the 6th anniversary of Ftarri, the CD shop in Suidobashi, Tokyo. Seijiro Murayama, who lives in France, is active mainly in Europe, giving truly original performances using drums, percussion and voice. Toshihiro Koike is a trombone player who lives in Nagoya. He is the leader of the trio Fuigo, whose other members are Kanji Nakao and Takero Sekijima; and he is also a member of the Satoko Fujii Orchestra. His improvised performances freely using expanded playing methods have an established reputation. Martin Taxt is a tuba player from Norway, and an owner of the Norwegian improvised/experimental music label Sofa. Taxt frequently visits Japan and often performs with Japanese musicians. 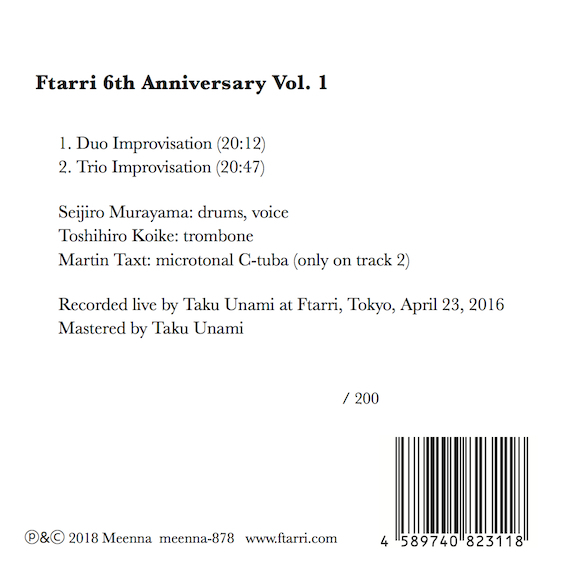 In 2017, he and Toshimaru Nakamura released the duo CD Listening to the Footsteps of Living Ones Who Are Still on the Ground (ftarri-988) on the Ftarri label. Murayama, Koike, and Taxt performed at Ftarri on April 23, 2016. 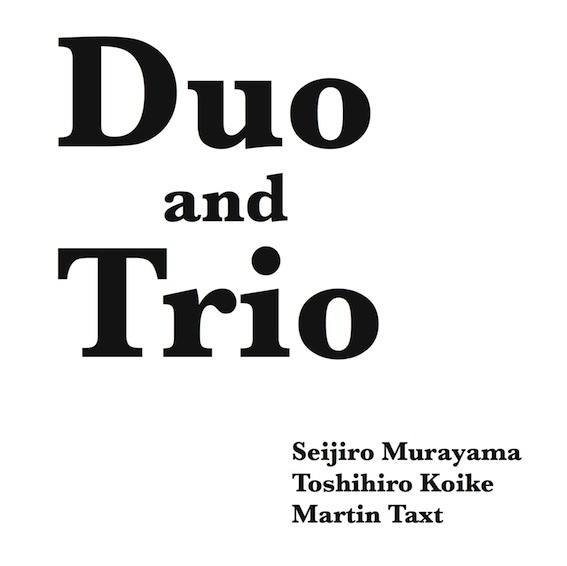 This CD is made up of two minimal improvised performances (each about 20 minutes)--a duo by Murayama and Koike, and a trio with these two musicians plus Taxt. These are compelling performances born of the musical sympathy among the three musicians.